1. Turn on the stove in low. In the pan, combine chicken broth soup, seasoning sauce, soy sauce, and sugar. 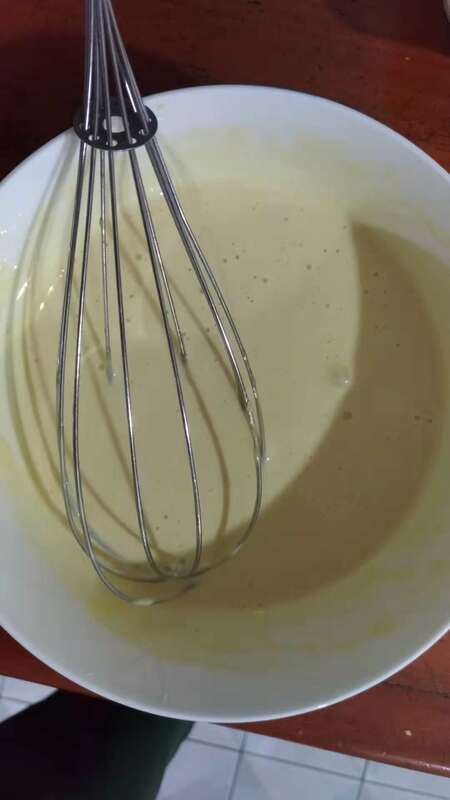 Until thoroughly mixed and sugar melted and becomes a little sticky. Then pour it in the bowl. Set aside. Now that we have the sauce to marinate the fish. 2. 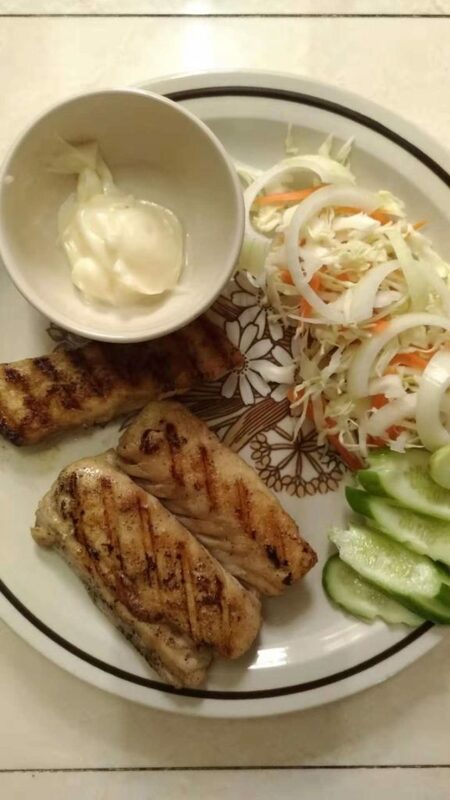 Bring out 2 slide of fishes and marinated with the sauce for 30 minutes. 3. After done marinated the fish. 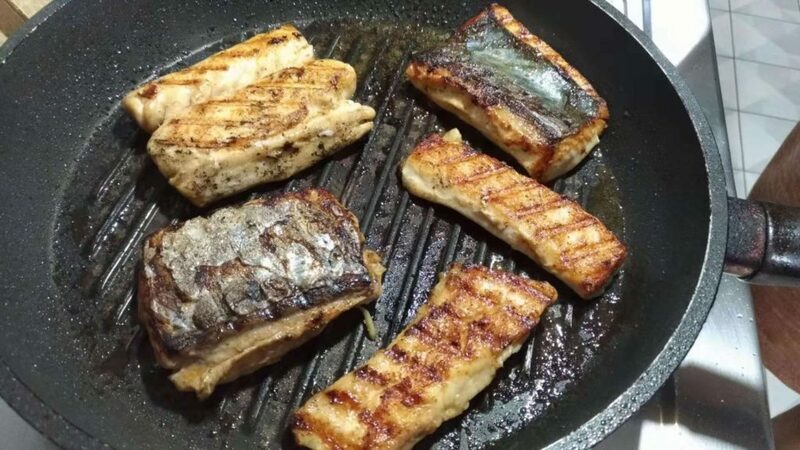 Turn on the stove in low, then put butter until it starts to melt then put marinated slide fishes on the pan. In this step, do not touch the fish until one side is golden brown then flip it. 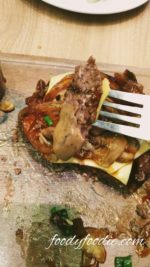 Wait until another side turns golden brown then put in the plate. 4. 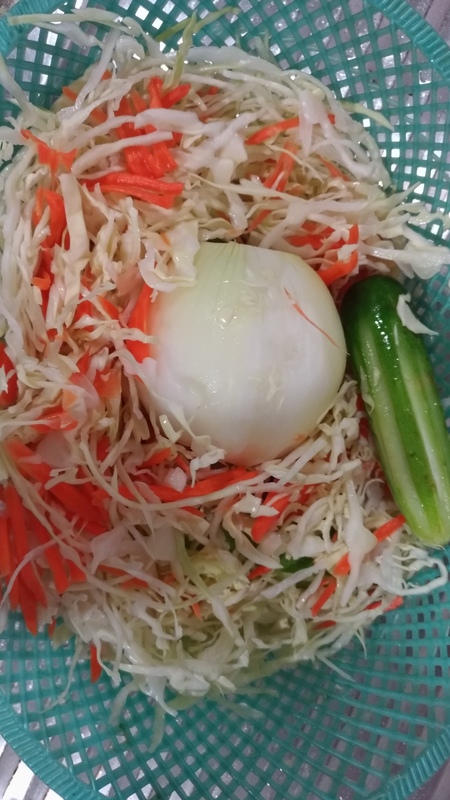 In the large bowl, combine shredded carrot, onion slide, shredded cabbage, and cucumber slide until thoroughly mixed. Then place veggies on the plate and put salad dressing on top of veggies. 5. Place the fish next to the salad and put mayonaise on top of the fish and we done! Enjoy!